In every campaign, it’s important to measure the tone of the campaign now and then and react accordingly. In the last couple weeks of the Measure 20-280 project, it was clear that the citizens of Creswell had become weary all of all the hoopla and were ready for it to be over. Too much of a good thing can also be a turn-off. The potential for people to become so tired of a campaign that they don’t even vote at all is a genuine concern. We were already hearing rumblings of that nature during our door-to-door campaign. So how do you campaign without campaigning? The answer? Be subtle. When it came down to election day, we could have been out there with our traditional “Vote No!” signs that had been used throughout the campaign. Instead, the decision was made to simply encourage folks to vote. Besides, we had already spent weeks educating the voters; now we just needed them to get the vote out. 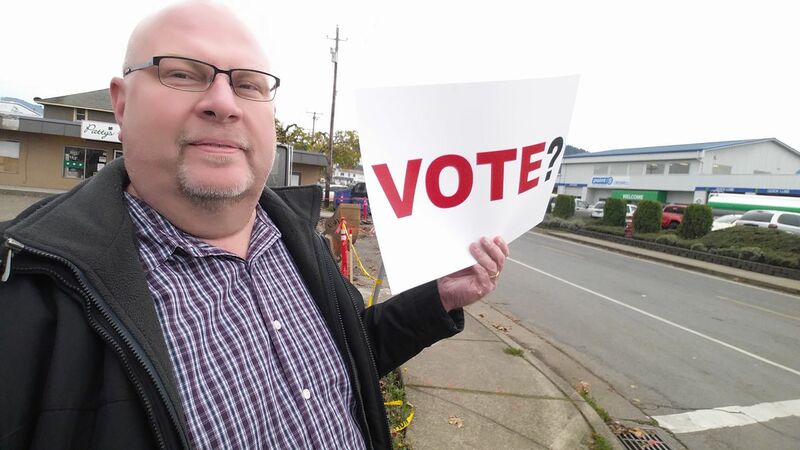 We stood on the street corners with signs asking a simple one word question: “Vote?” It must have made a difference because the voter turnout was the highest ever for a special election – far surpassing the state-wide average.